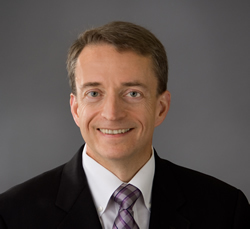 Pat Gelsinger has been serving as CEO of VMware since September 2012, nearly doubling the size of the company during his tenure. A respected IT industry veteran, he was at Intel for 30 years becoming the company’s first CTO and driving the creation of key industry technologies including USB and Wi-Fi. Pat will be speaking at the Exponential Regional in the Bay Area, October 22-23.